Tags: complementary therapies, complementary therapies devon, complementary therapies totnes, EFT totnes, reflexologist, reflexologist totnes, reflexology, reflexology devon, reflexology gift vouchers, reflexology south devon, reflexology south hams, reflexology totnes | Permalink. Reflexology is a complementary therapy, which treats the whole body by applying gentle pressure to precise reflex points in the feet. The treatment brings about a state of deep relaxation, stimulates the body’s own healing processes and helps us return to our natural state of balance and wellbeing. Reflexology can complement any health care work and has shown to be helpful for many conditions, including • insomnia • tension and stress • neck and back pain • headaches and migraines • poor circulation • and many stress-related diseases. Reflexology can be very beneficial during pregnancy, and can help to balance the body during the physical and emotional changes in every stage of preconception, pregnancy and post-natal care. The treatment helps to detoxify the body and boost the immune system, and a course of treatments may help in the prevention of seasonal ailments. 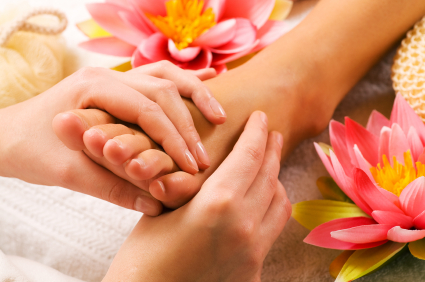 Reflexology is also a wonderfully relaxing and rejuvenating treatment if you are stressed, tired or run down. I have worked as a reflexologist for 15 years, since graduating from a training course accredited by the Association of Reflexologists in 1997. Please contact me for more information about how reflexology may be able to help you, or to book an appointment. Tags: arcturus clinic totnes, complementary therapies, complementary therapies totnes, reflexologist, reflexologist totnes, reflexology arcturus clinic, reflexology devon, reflexology south devon, reflexology south hams, reflexology torbay, reflexology totnes | Permalink. Tags: arcturus clinic totnes, complementary therapies, complementary therapies devon, complementary therapies totnes, reflexologist, reflexologist totnes, reflexology, reflexology devon, reflexology gift vouchers, reflexology south devon, reflexology totnes, totnes devon | Permalink.